The first altar on the left is dedicated to the Madonna of Graces. The valuable panel painted in 1377 by Barnaba da Modena (active 1361-1383) is positioned on the 19th-century altar table. 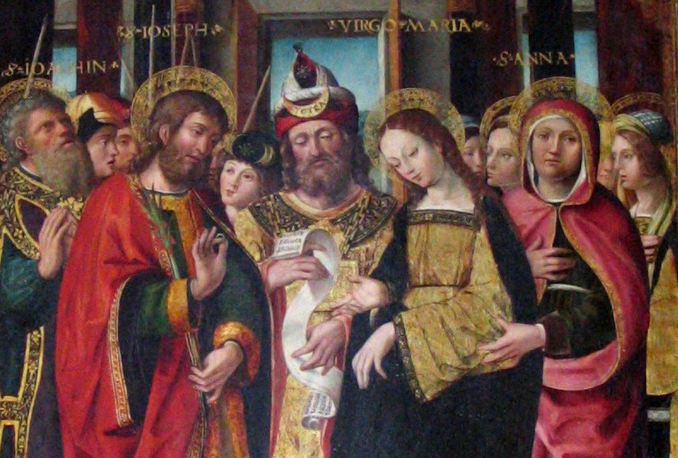 The artist trained in Emilia but spent many years working in Genoa and is responsible for several paintings produced for Piedmontese churches. 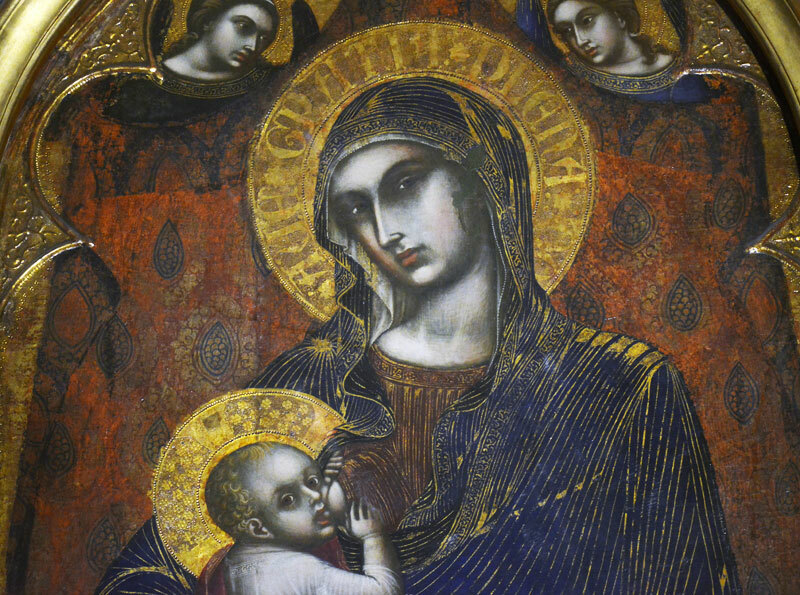 This arched painting depicts the Madonna with Child (also known as the Nursing Madonna). The subject, treated as an icon in the Greek style, recalls ancient Byzantine culture, an appreciation of which was particularly widespread among the mendicant orders. The painting comes from the demolished Alba church of San Francesco d’Assisi, and has been the object of specific worship for some time. 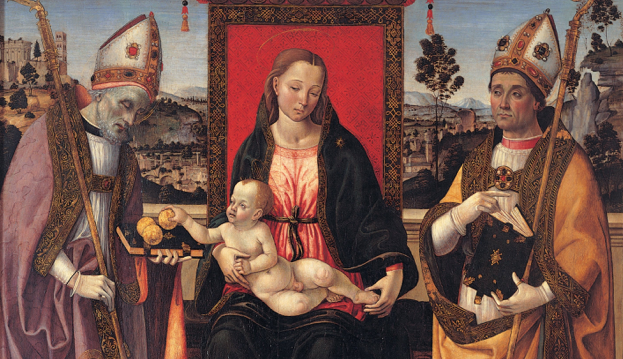 In the 19th century, the figurative panels of the predella of the polyptych painted in 1493 by Gandolfino da Roreto were located on a side wall, arranged vertically. 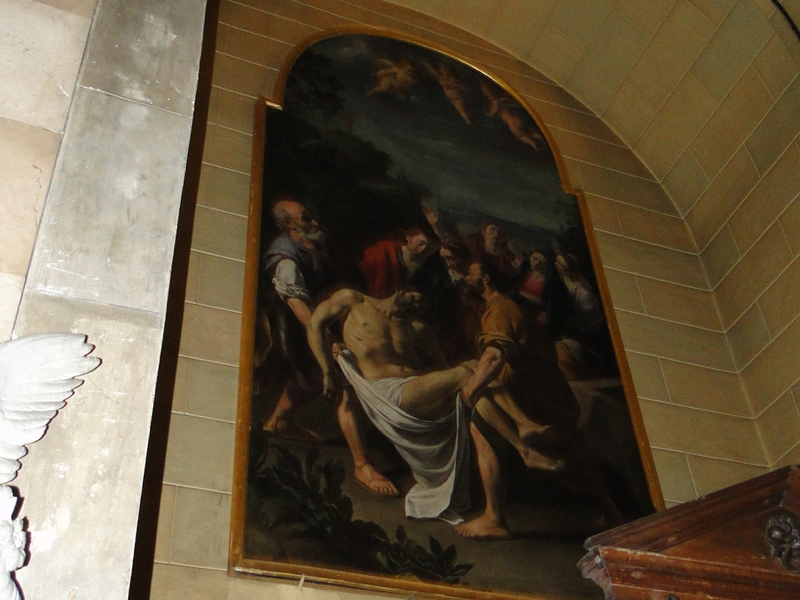 They are now visible, correctly aligned, on the table of the high altar. Many ex-votos can still be seen here instead, testifying to the persistence of popular devotion; some are small pictures painted between 1887 and 1928.